About halfway through writing Clara and Ezra I quickly realized this story had much more than what I could fit in the 312 pages it contains. Sure, I could have added more, but the story I wanted to tell required another book, because in truth, it’s another character’s story. 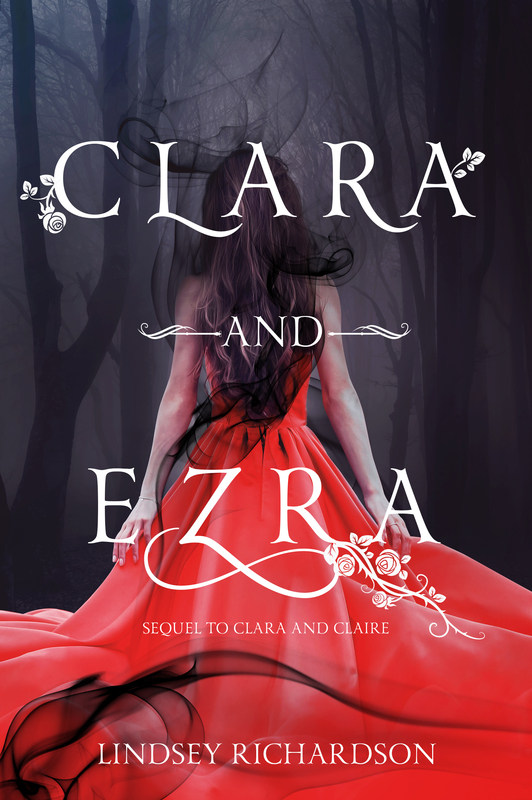 When I finished Clara and Ezra, even after all the editing and numerous drafts, I was 100% convinced. This sequel wasn’t the end. It couldn’t be the end. I had misjudged Clara’s story, assuming it was something that could fit into two books, but no there’s more. Much more. My 7th novel, the one I’ve been sharing teasers of on Instagram with #secretproject, is the next book in Clara’s adventures. As for book #3 in this series? Well, I’m between two different titles right now. It will either be titled: Clara and Daphne OR Daphne and Clara. I’ll be doing a poll on Instagram to see what you guys think fits best. I’m leaning toward Daphne and Clara. Without any spoilers and going into too much detail –because I’ll be sharing even more throughout the next couple of months– this third book is the first book narrated by someone other than Clara. Thus far Clara has been the main narrator, our main character –besides maybe a chapter or two where another character took over the narration. This third book will be told from Daphne’s point of view. Daphne being, for those of you who haven’t started on Clara and Ezra yet, a new character we met in book 2. A character with a dark backstory that I’m just dying to get my hands into! And, if you’re read this far, I’ll tell you something else. This newest addition to the series will be narrated by Daphne and Clara. The narration will be split. I’m not sure how yet, but I know they’ll both have their fair share to say in the book –there’s a lot happening between the two of them, so it only seems fair they both have lead voices in this book. That’s all I’m going to share for now! Head over to my instagram @lindseysablowski to vote on which title you prefer. I still don’t have a synopsis or anything official like that written up –so hang in there, more will come as I progress in this book. I’m only 7k into this novel, and there’s still a lot ahead of me. I’m just glad to finally share this secret with you guys, so I can share more of my ideas as I work through this first draft. Hope you guys are excited for where Clara and Daphne’s story will take us next. As usual, I intend on sharing my progress through the writing journey as I go, so stop by my Instagram and maybe drop some inspirational quotes or some coffee emojis –I could use either to be honest. Thanks so much to everyone who’s been so supportive! Everyone who’s believed in Clara’s story from day one, and everyone that has a copy of one (or both) of the books at home right now. Next > First Draft Has You Stuck?